Thermal And A Quarter (TAAQ) is a band from Bangalore. 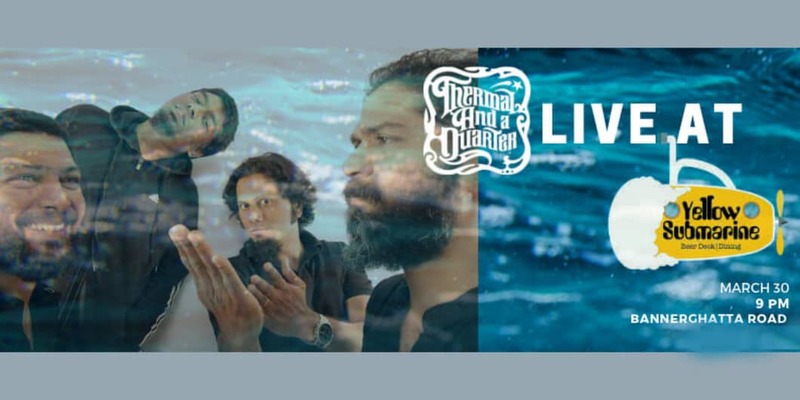 TAAQ describes its music as 'Bangalore Rock', a sound that moves organically through everything from progressive jazz-rock and blues to South Indian syncopated rhythms without missing a beat. Date and Time: 30th March 9:00 PM onward. Special Details: Event starts at 9:00 PM.